A cat vet, who specializes in the care of felines, is a great resource for learning about how to care for your pet. Get tips on feeding, medical issues, and how to help your cat live the longest, happiest, and healthiest life possible. Learn about the work of a feline specialist in LTK's cat vet interview with Dr. Sarah Caney, a certified specialist in feline medicine. She is also the founder of Cat Professional, a website devoted to feline health issues. Dr. Caney answers questions about working with cats and offers tips about feeding, vaccinations and finding a cat vet near you. LTK: Dr. Caney, how long have you been a feline veterinarian and what led you to specialize in cats? Dr. C.: I have worked exclusively with cats since 1994. I qualified as a vet (University of Bristol, UK) in 1993 and after spending a year treating all small animals, I took up a feline only specialist training post at the University of Bristol. At the time, I didn't think that I would only be working with cats forever - I was just taking an opportunity to learn more about the species. However, after only a few months, I fell in love with the job, deciding that feline medicine was my vocation. Since then, I have only worked with cats. LTK: Did you have to study feline medicine as a specialty in veterinary school, or does much of that expertise come from on-the-job experience? Dr. C.: In the UK, all vets qualify as capable of treating all animals. Although there are "cat-only" practices, and to work in one of these does not require you to do extra exams, I chose to do specialist training and extra qualifications to become a registered Specialist in Feline Medicine. I did my specialist training at the University of Bristol (UK) which is world famous for its feline medicine experts including Professor Tim Gruffydd-Jones who is believed by many to have started the veterinary interest and expertise in cat care. 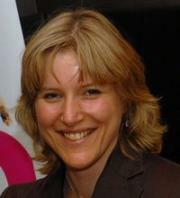 My initial training period was sponsored by a UK cat charity called the Feline Advisory Bureau (www.fabcats.org). During my training and the following few years, I passed several exams - the most important of which was the Royal College of Veterinary Surgeons Diploma in Small Animal Medicine (Feline). This is a specialist qualification, and there are only eight people in the UK who have passed this exam. My career has involved both first opinion and referral feline medicine, so I have seen a large number of both simple and complex illnesses in cats. This has been an invaluable part of my training to become a specialist. LTK: Is treating cats much different than treating dogs, and if so, can you elaborate? Dr. C.: Yes! Cats are completely different, and so are their owners. Cats are much more of a challenge to treat since, unlike a dog, they won't "sit" or "stay" when asked. To examine a cat, you have to gain its trust and respect - you cannot force a cat to do anything that it doesn't want to do. I think it must be similar working with very small children; you have to persuade the cat that it wanted to open its mouth rather than you being the person that has forced this upon it. 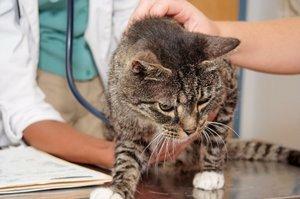 LTK: What are the most common health issues you observe with your feline patients? Dr. C.: Cats are very vulnerable to infectious diseases, and Cat Flu is one of the most common illnesses we see. Many cats in the UK have access to the outdoors so sadly, cat fights and car accidents are a common cause of feline injuries. Fortunately, many cats are now living to advanced ages. It's not unusual to treat 20-year-old cats these days, but this does also mean that we are seeing more cats with geriatric illnesses such as kidney disease and thyroid disease. LTK: Is there a particular type of cat food you feel provides the best nutrition? If so, why? Dr. C.: Feline nutrition has entered some controversial times recently, and I'm not sure that there are easy answers to be obtained. There are advantages and disadvantages to both wet and dry food. For example, dry food is very convenient and probably helps keep the teeth clean, but some cats eating a dry diet do not drink enough water, and this can be bad for cats vulnerable to renal and urinary problems. Wet food is better for cats with urinary problems, but it's less convenient to leave out for your cat if you are out working. Many people also feel that wet food is worse for the teeth. Many cats in the UK are fed a mixture of canned food (or pouches) and dry biscuits. This is probably a good compromise. In general, if you are happy with your cat's health on the diet it is receiving, I would not advise changing it. If you do want to change from wet to dry food (or vice versa), this should always be done gradually. LTK: What is your philosophy on vaccinations? Which vaccinations should every cat have, and how often do they really need to be revaccinated? Dr. C.: Infectious diseases are very important in cats and there are many that can be fatal so I am a strong believer in vaccination. There is no doubt in my mind that vaccination has saved the lives of millions of cats. Vaccination against cat flu (herpes and calicivirus) and panleukopenia (also known as feline parvo and infectious enteritis) are most important - often referred to as the "core" vaccines. I advise that all cats receive a primary course of these vaccinations when they are kittens with a booster vaccination one year later. After this, my advice depends on the individual cat and its situation. For cats that have access outdoors and hence may come into contact with other cats, cats that attend cat shows or boarding catteries or cats that belong to people working with cats (such as myself), annual boosters for cat flu are recommended. This is especially important since immunity to flu viruses does start to wane with time leaving the cat vulnerable to illness. Immunity to panleukopenia is much longer, so boostering at three yearly intervals is acceptable. Most vaccines have flu and panleukopenia combined into a single injection meaning that it is not always possible to separate out the different components and give these at different intervals. If the cat is indoor-only and never needs to attend a boarding cattery, less frequent vaccination can be justified such as administering a booster vaccination every three years. There are other vaccines available such as those that protect against FeLV, FIV, Chlamydophila, and the use of these should be according to the cat's risk. For example, an indoor-only cat living on its own should not be at risk from any of these three infections. LTK: Is your clinic's entire practice devoted specifically to feline care, and if so, how is this environment different than the standard veterinary clinic that treats dogs and other pets? Is there a benefit to it? Dr. C.: In the UK, feline-only practices are still in the minority - there are probably less than ten in total. As a Specialist, I work in clinics that treat cats and other small animals, but there are always separate facilities for the cats which I regard as essential. A cat that has to sit in a waiting room full of noisy dogs is likely to become very stressed, and this affects it in so many ways. The cat is more difficult to examine, has increased heart rate and blood pressure and lab tests (eg blood sugar levels) are also commonly affected. All of the practices where I have worked have separate wards for the cats, and this too is essential to encouraging a more rapid recovery from illness. It also makes for a more stress-free time for the vets and owners too! LTK: Overall, how well do you think average owners do caring for their cats? Are there any areas you specifically think could use some improvement? Dr. C.: The standard of pet care has improved enormously since I qualified as a vet in 1993. A testimony to this is the fact that many cats are living so much longer. However, there are areas that could be improved. For example, there are now more obese cats, and this is leading to an increase in the frequency of diabetes mellitus - a serious medical condition. Also, vets need to educate owners about care of geriatric cats. Many are arthritic, but this can be difficult to spot because cats are not usually lame, they just spend more time sleeping and move less to cope with their pain. There are treatments for arthritis, and it would be good if we could help more cats lead a comfortable, pain-free life. LTK: As a vet, what are the things you'd recommend all cat lovers should do to take the best care of their pets? Dr. C.: Find a good vet who you can have a good relationship regarding your cat. If in the USA, you can use the American Association of Feline Practitioners website to find a cat-interested vet: CatVets.com. In the UK, the Feline Advisory Bureau (FAB, a cat charity) has a similar facility on its website that directs people to cat-interested vets in the UK and overseas: FabCats.org. 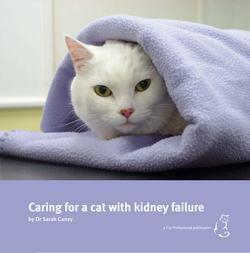 The FAB also has an excellent document on giving your cat life-long care called WellCat for Life that is worth reading.